This item is only valid with a bag (including wristlet, wallets and makeup bags) order. 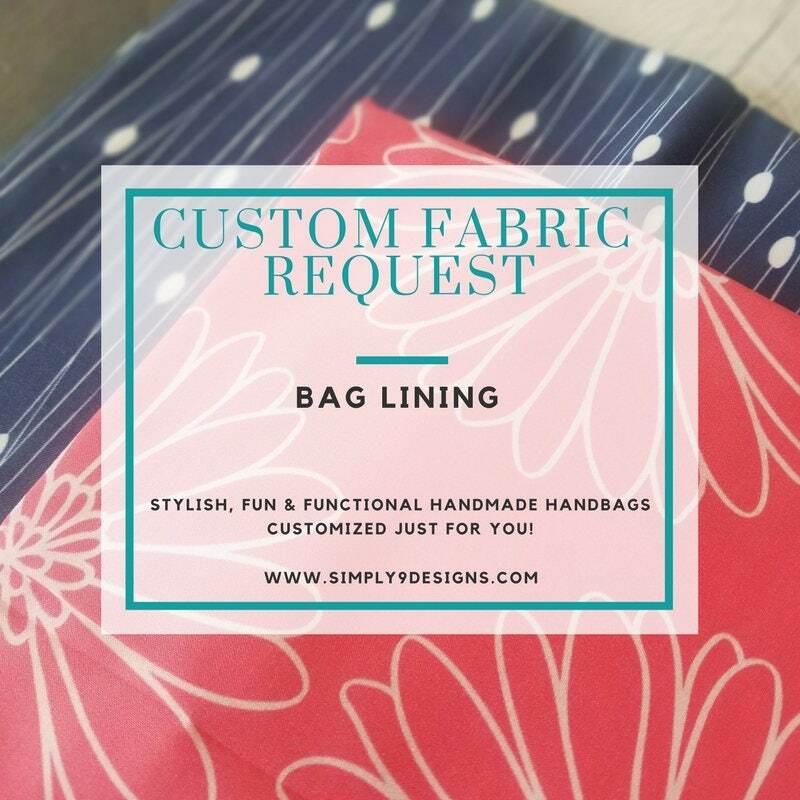 Please add this item to your order if you are requesting a Custom Fabric. All orders with custom fabric are shipped in 7 - 10 business days and/or can be expedited to ship in 5 - 7 business day. Please note if expedited shipping is selected, your ship to date will be updated. Thank you for visiting Simply9Designs. Hope each piece you receive makes you smile as it has made me smile designing it. Copyright © 2018 Simply9 Designs. All Rights Reserved. Designs Can Not Be Copied Or Duplicated.